Having already debuted three huge singles so far– smash hit UK #1 ‘These Days’ ft. Jess Glyne, Macklemore & Dan Caplen, the biggest-selling record of 2018 in the UK, ‘Let Me Live’ (prod. 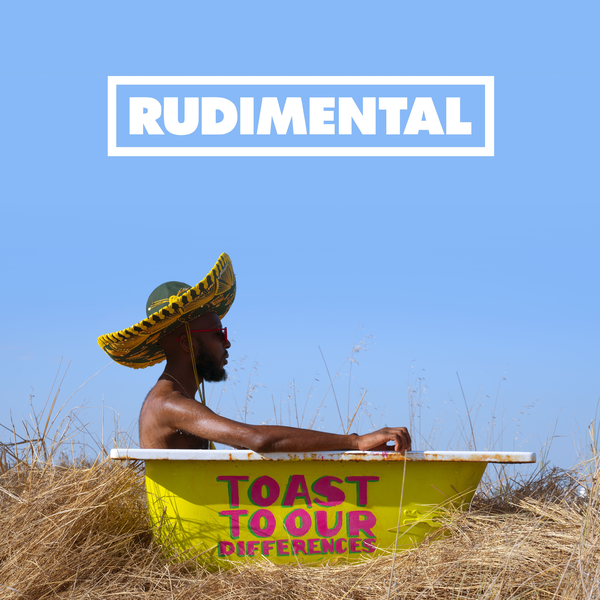 with Major Lazer) ft. Anne Marie & Mr. Eazi and ‘Walk Alone’ ft. Tom Walker – January 25th sees Rudimental release new album, ‘Toast To Our Differences’. Written as an emphatic celebration of difference and a coming together of cultures, styles and sounds, ‘Toast To Our Differences’ is the product of the band’s past three years of work and boasts an extraordinary list of collaborators. Tom Walker turns in a stunning vocal on catchy, wholesome ballad, ‘Walk Alone’, emerging vocalists like Maleek Berry and RAYE come together on the sparkling ‘1×1’ and rising singer-songwriter Dan Caplen shines on #1 smash, ‘These Days’, alongside Jess Glynne and Macklemore. ‘Let Me Live’ also features vocals from Ladysmith Black Mambazo, an incomparable x5 time Grammy-winning South African male choral group, and hotly-tipped soul singer, Yebba, who has been heavily co-signed by global stars like Ed Sheeran and Sam Smith. Tour de force rapper Stefflon Don and BBC Sound Poll winner Ray BLK make waves on the powerful ‘Scared Of Love’, Rita Ora excels on the sleek, shimmering ‘Summer Love’ and enigmatic rapper Kojey Radical and Kabaka Pyramid spar on ‘No Pain’, further showcasing the breadth and diversity of talent Rudimental showcase right across ‘Toast To Our Differences’. Further features on the album include (in alphabetical order); Chronixx, Eli Ingram, Hak Baker, Maverick Sabre, OLIVIA, Protoje, Shungudzo, Kevin Garrett & Raphaella. Rudimental kicked off 2018 with the release of ‘These Days’ ft. Jess Glynne, Macklemore & Dan Caplen, which now ranks as one of the band’s biggest and most successful singles ever. Claiming their third UK #1 single, amassing over 1 billion global streams and going Double-Platinum in the UK, as well as Platinum in Australia and Canada, ‘These Days’ was also the UK’s biggest-selling song of 2018. Second single ‘Let Me Live’, produced with Major Lazer and featuring Anne-Marie and Mr. Eazi, has tapped into the same buzz, quickly amassing over 70 million streams of its own, complete with an iconic official video shot on location between London and Johannesburg. Their summer 2017 release, ‘Sun Comes Up’ ft. James Arthur, which also features on the album, has since gone platinum in the UK too, selling over 1.4 million copies worldwide while spending 8 weeks in the Top 10 Official Chart, peaking at #6 and racking up a global stream count of over 130 million.